Learning first aid doesn’t have to be expensive. Lots of organizations provide free first aid manuals and booklets which you can request or download to your computer. 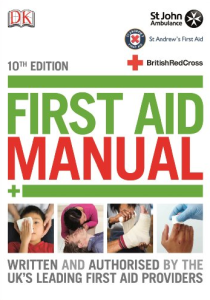 Here’s our list of the best free first aid manuals and booklets available! St John Ambulance is a large provider of first aid training and event medical cover in the United Kingdom. They publish a free first aid guide which UK residents can request to be sent to their home. Simply fill out a form on the St John Ambulance website and they will send you your free first aid manual! 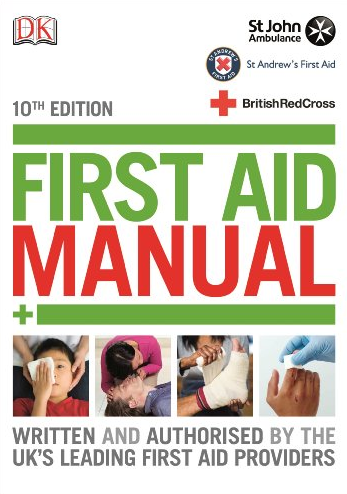 Similar to St John Ambulance, the British Red Cross publish a free first aid manual for UK residents. Fill out this form to get your free manual posted to you. Triple One Care is a first aid training and services company based in New Zealand. They publish a free downloadable first aid manual on their website. The content is aimed at New Zealand residents however most of the content is generic first aid information. 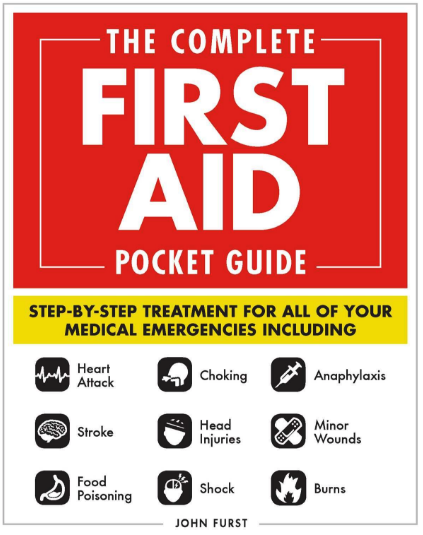 The American Red Cross publishes a simple first aid booklet on their website. Called Adult First Aid/CPR/AED Ready Reference the booklet contains simple step by step instructions for a number of common medical emergencies and first aid situations. 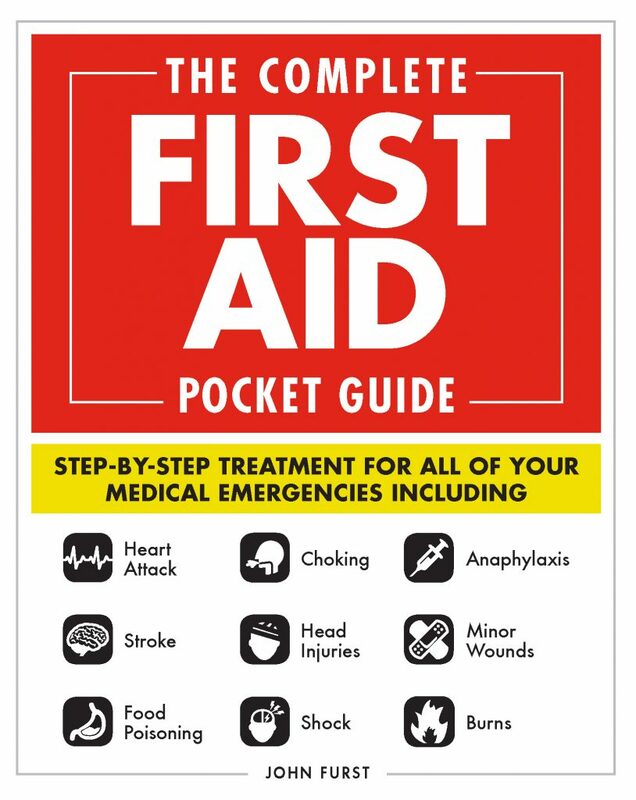 Although not free, The Complete First Aid Pocket Guide is a new first aid pocket guide covering common emergency situations. Written by our team, the pocket guide is a comprehensive manual to keep at home or when out and about. Please leave a comment if you want to add a free first aid manual to this list. If you want to carry around a first aid guide with you, we’d also recommend having a look at a free first aid app for your smartphone. Help Get First Aid on the National Curriculum – We did it! I was not sure where to post this but is there anywhere on this site where I can print out a “wallet sized” certificate? It is for my fire department and we don’t offer first aid classes surprisingly. Thanks! Really sorry but unfortunately we don’t offer ‘wallet sized’ first aid certificates – apologies! In order to download your certificate you need to make sure you have marked all the units as ‘completed’. They should all appear with a green tick next to them on the course homepage. Once you’ve marked all the units as completed you will be emailed a link to download your certificate. Please note this email may take a couple of minutes to arrive. If you do not receive an email then please check your ‘spam’ or ‘junk’ box. What are the common triggers of an asthma attack? First Aid for Free © 2019. All Rights Reserved.